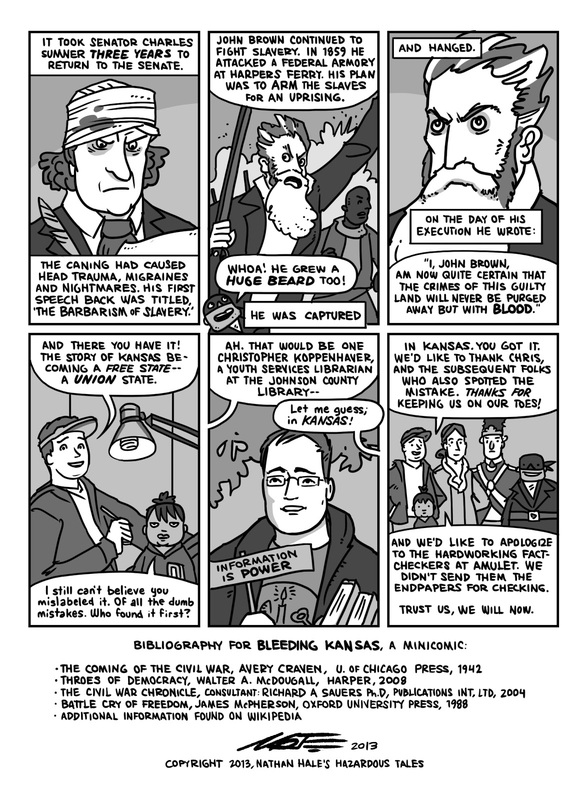 And here is the final page of the Bleeding Kansas story. I hope you enjoyed it and learned some fascinating Kansas history. Tomorrow, I'll have a photo recap of the Kansas Apology tour. Then we'll get right back to business as usual.